The signature hole on the golf course is a dogleg left par 4 and another very challenging hole. 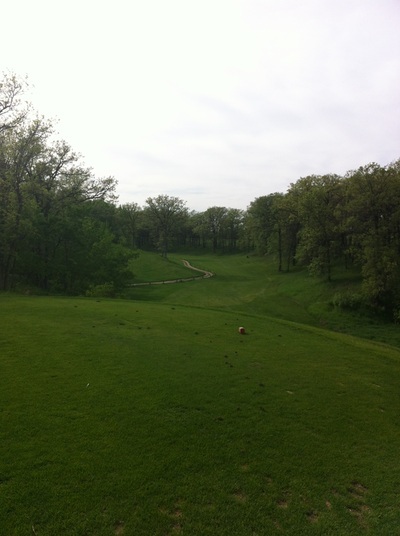 The tee off box is elevated and you are hitting it down into a valley to a very small fairway. There are trees surrounding the entire hole so a well placed ball is very important. The best play on this hole is to hit it 200 yards to the corner of the dog leg which will give you the best angle to the green. 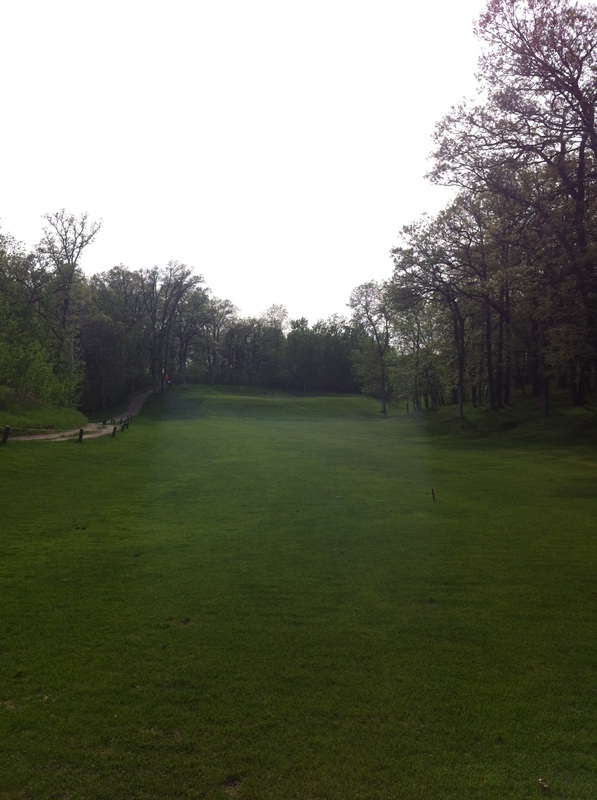 Beware of the two tall trees on the left side of the fairway as these will make your second shot very challenging. 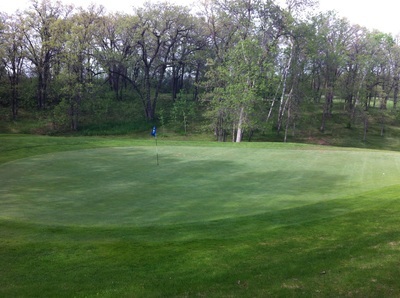 The green is elevated with trees surrounding.